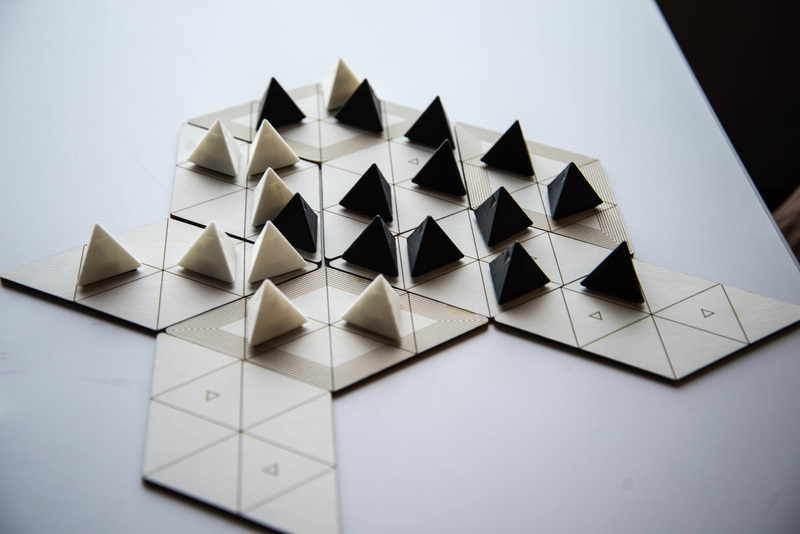 TRI is an abstract strategy game wherein two players compete to control two of three key territories. 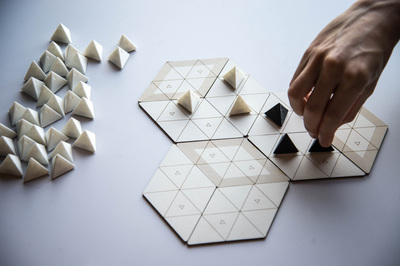 Players must carefully place and move pieces or rotate parts of the board to gain control of territory, accelerate their piece expansion, or capture their opponent’s pieces. 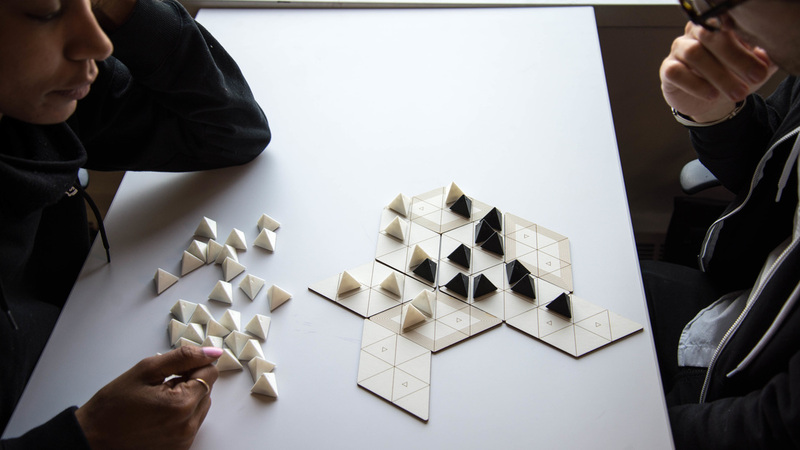 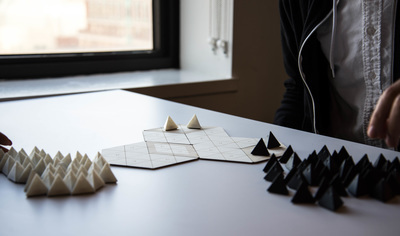 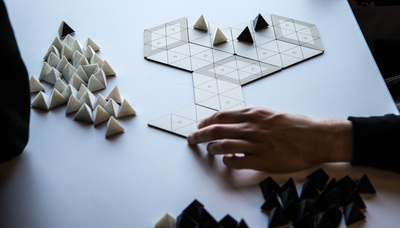 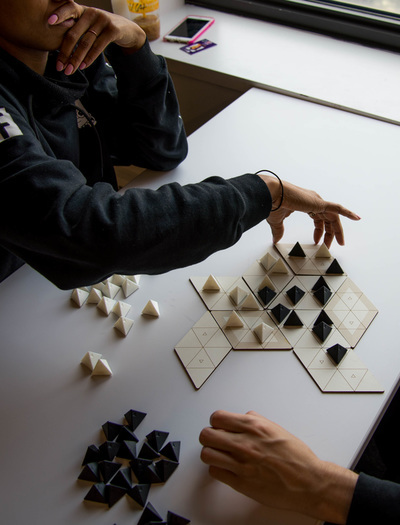 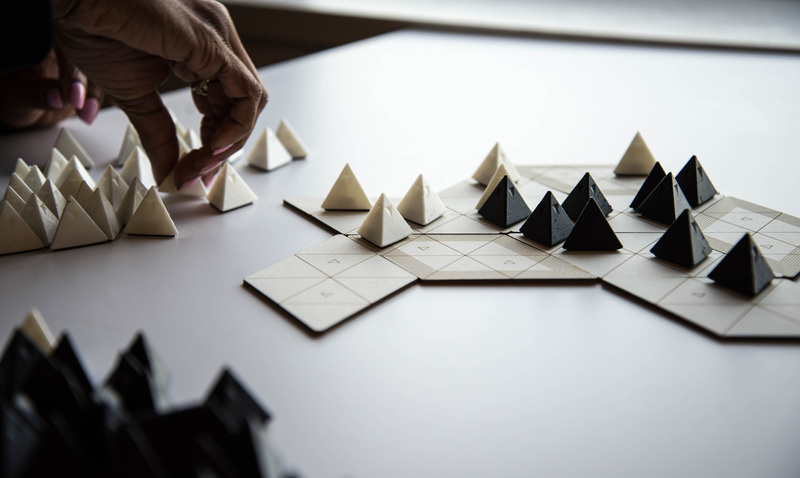 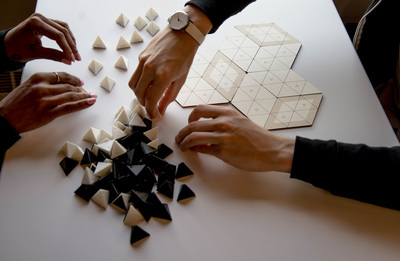 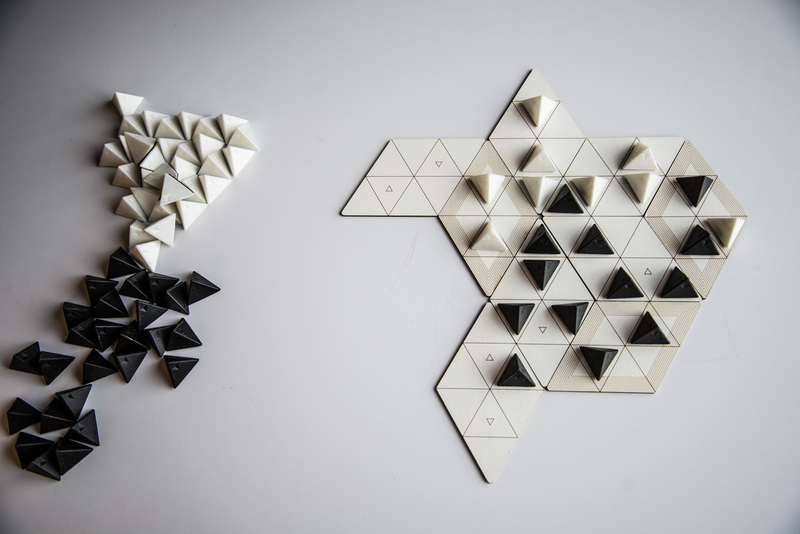 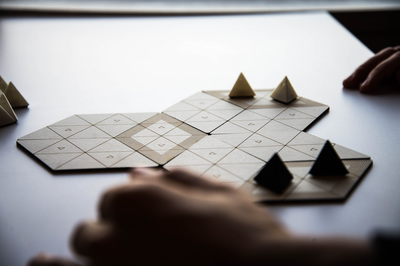 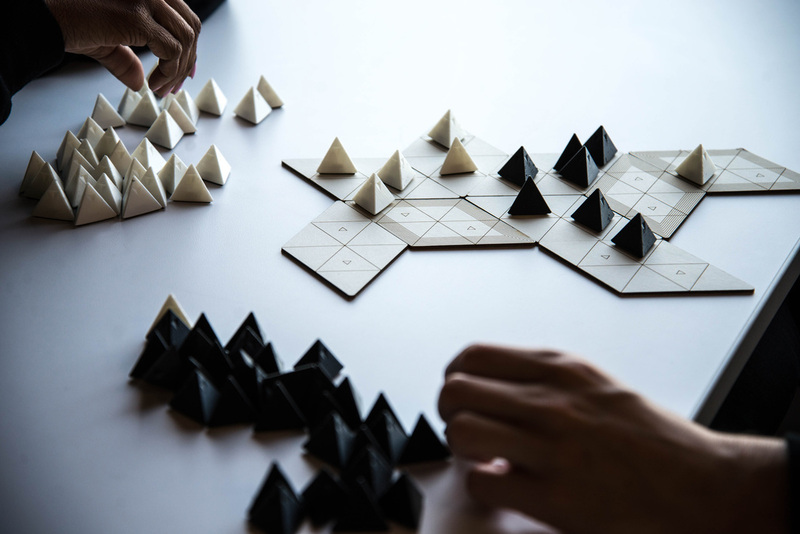 ​TRI combines the gradual coercion of Chess and the elegant surround-to-capture rules of Go with a visually compelling and strategically interesting board composed of triangular spaces atop mutable diamond-shaped pieces.